First off I apologize for it being such a long time since I wrote my last Neighborhood Diaries post. I definitely planned on making this a more consistent feature on my blog, but with some serious time constraints the past couple months, these posts have gotten put on the back burner. I'm going to try to get one of these posts out at least once per quarter so that they can be as thoughtfully put together and researched as possible. 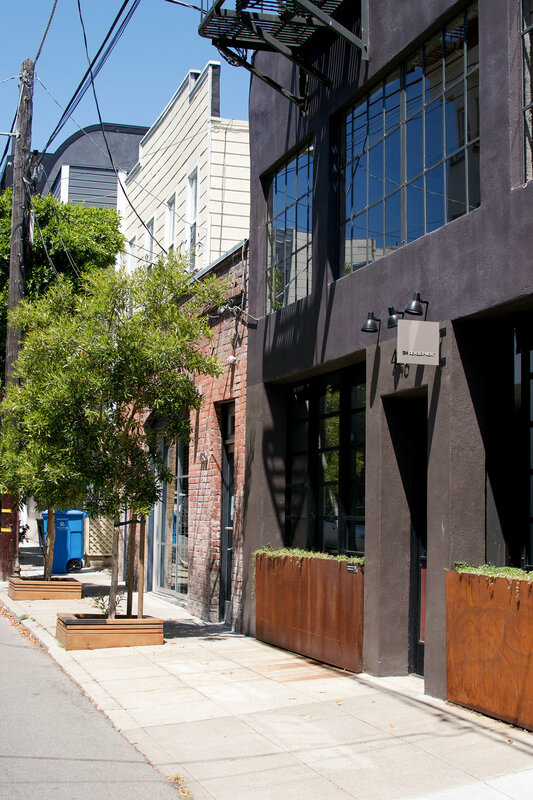 I wanted to kick things back off with a post all about Hayes Valley, a neighborhood which has seen an incredible amount of change in the last ten years or so. When I was growing up, Hayes Valley wasn't a place where I spent a lot of time, and that's mainly because there wasn't a whole lot in terms of shops, restaurants, and open spaces. However, all of that has changed so much, and the whole corridor of Hayes Street is bustling with new shops and restaurants opening constantly. 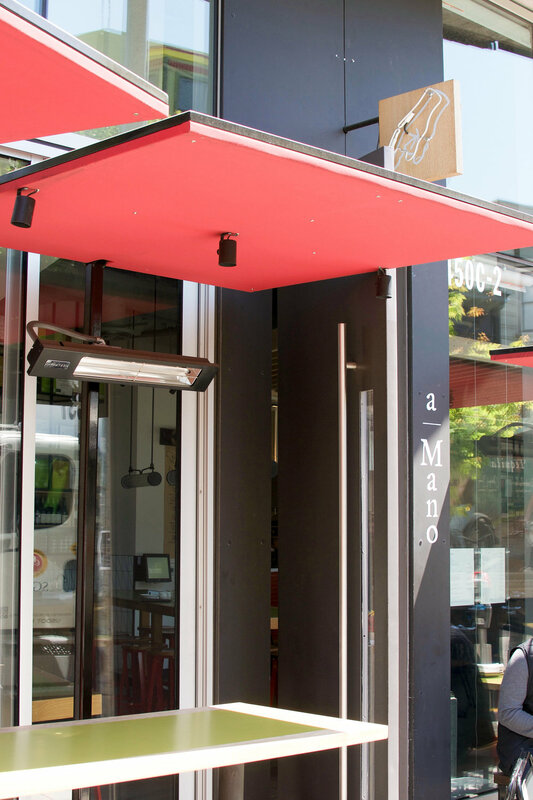 One of my favorite Hayes Valley restaurants is A Mano. It's a relatively new restaurant, having only opened about a year ago, but wow does it pack a punch. The drinks are amazing, and I foresee myself frequenting their bar many a time this summer for a good ol' aperol spritz. The food is incredible and also won't completely break the bank. They have a daily special and a standard menu that is homemade pasta-centric (so basically I want to eat here every day). My advise would be to go on the earlier side because the place gets packed. They also have a ton of outdoor seating, so if you do end up having an earlier dinner you can at the very least enjoy a nice sunny relaxing dinner outside. There's nothing I love more than a good cozy café, and 20th Century Café absolutely fits the bill. As the name would suggest the theme of the café is very much in the style of a 1930's home. All of the utensils and dishes are antique and mismatched, which just adds to the character of the space. A lot of the food and baked goods are inspired by Eastern European cuisine. They also do a much more extensive brunch service on the weekends, which is definitely worth going to. And if you have any extra room after breakfast, definitely get a slice of their honey cake! I don't think I could write a post about Hayes Valley and not include Absinthe. Even though Absinthe, definitely errs on the more formal, pricier side for restaurants in Hayes Valley, it is absolutely worth the price if you want to splash out on a fancier dinner. The food is definitely that of a typical French brasserie, and while it isn't the most experimental restaurant you'll find, the food is always consistently incredible. The bar alone is definitely worth a visit (especially if you've never actually tried absinthe) and they have a bar menu, which is a bit cheaper than the usual dinner menu. There are a lot of amazing shops in Hayes Valley, in fact it's kind of become the hub for a lot of millennial brands to set up brick and mortar shops (such as Warby Parker, Away, and Outdoor Voices), but there are also a lot of local boutiques that have a more curated and unique selection of products, one of which is Seldom Seen. This boutique is definitely more focused around high-end clothing, but they carry a lot of lesser-known designers in a very edited atmosphere. I can't afford most of the clothes in there, but it's always a nice shop to have a look around , and the space is beautiful! As someone who has been getting more and more into incorporating plants into their home, Plants and Friends has been a welcome addition to the neighborhood. The store is so small but somehow they manage to fit a ton of plants in. 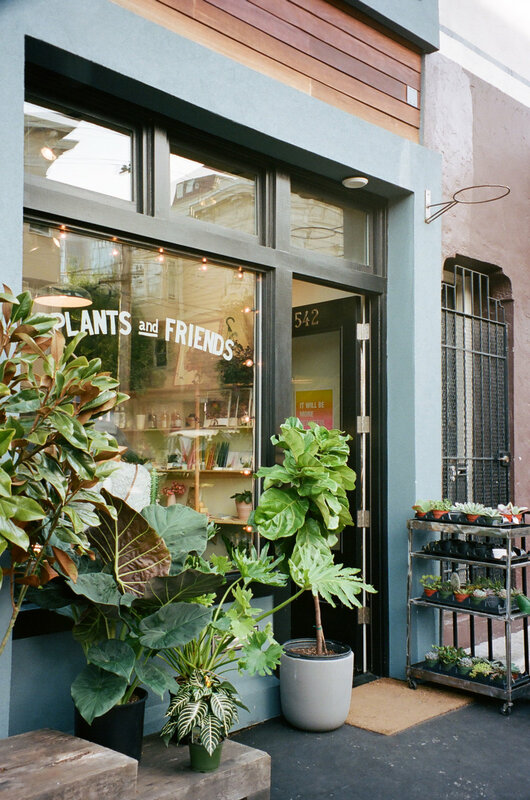 When I first saw this store after it opened, I passed it off as a hipster, most likely overpriced plant store, but after my first trip in I was pleasantly surprised. The staff is so helpful if you're new to or bad at caring for plants. The plants and ceramics they have also are also very reasonably priced. 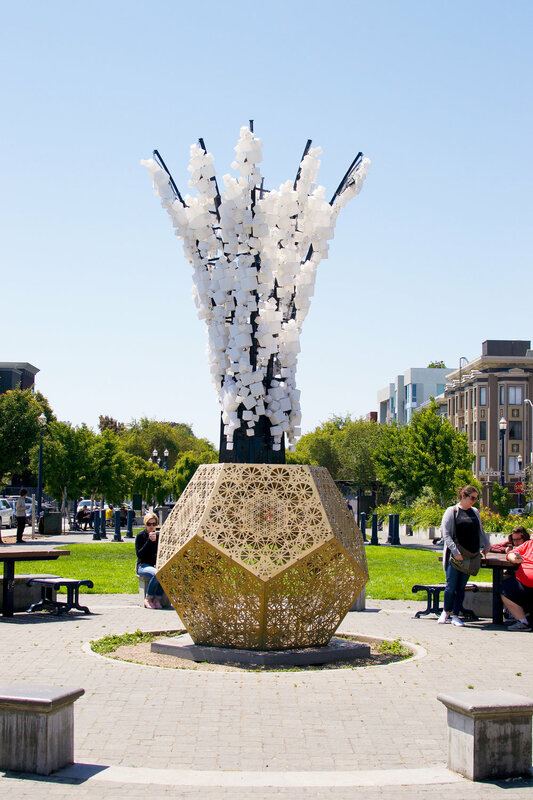 The main open space in Hayes Valley, Patricia's Green, is smack-dab in the middle of the Hayes Street corridor on the Octavia cross street. Besides the mini park itself, the space is also home to a drive-in style movie screen (where the neighborhood puts on movie nights in the park), and an array of food vendors from Ritual Coffee to Smitten Ice Cream, which are housed in formerly used shipping containers. The whole space just feels very quintessentially San Francisco. One of the things I love most about Hayes Valley is that despite how new most of the businesses are, there is something old and provincial feeing about the neighborhood. Nowhere is this more apparent than the tiny, alley-like Linden Street. 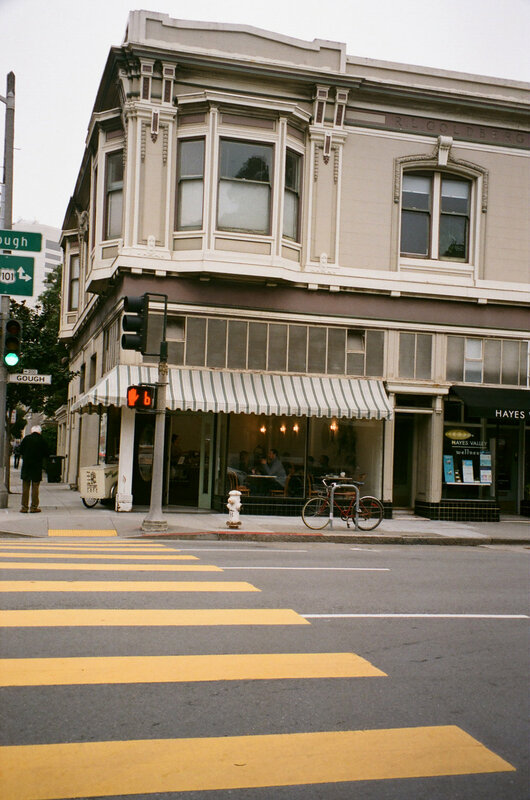 One of the reasons why Hayes Valley feels so quaint is because of the old Victorian architecture, something that is also very much associated with the city of San Francisco. Linden street definitely encapsulates a lot of the character that I love so much about Hayes Valley with it's low profile Victorians and brick structures. 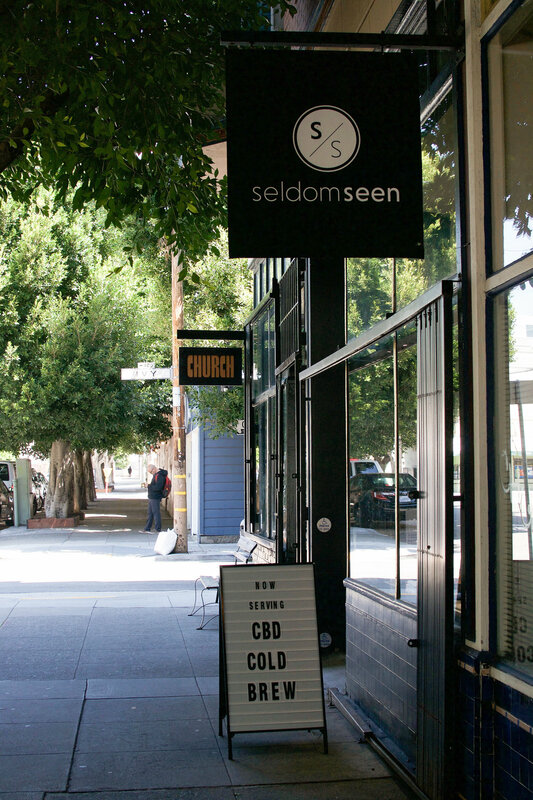 Even though there aren't any shops or restaurants along Linden street (from Octavia to Laguna), it makes for one of the most peaceful walks in an otherwise bustling neighborhood. About two weeks ago my boyfriend and I jetted off to Mexico for a week-long post-graduation trip. We had the best time laying by the pool, sipping on piña coladas, and reading books. It might sound a bit dull to some, but I think we both needed a week of solid R&R after the craziness of graduation and moving. I had originally planned for this post to go up pre-vacation but I decided to delay it till after we got back because I wanted to let you know how much of the makeup I ended up packing actually went to use (spoiler alert most of it didn't). As for base products I kept it extremely minimal since I knew I'd be in the water for about 50% of the time and the other 40% I'd be spending lathering sunscreen on my face. I also lucked out because my skin was on its best behavior so it didn't need much in the way of coverage. I ended up packing the Glossier Perfecting Skin Tint to even out my skin if I felt I needed it, but honestly did not use it once, since as I mentioned my skin looked pretty good and even the whole time. I packed my trusty Glossier Boy Brow to set and give my brows some color, which I did end up using a fair few of the days if I remembered to do my brows. The base product I used the most was the NARS Soft Matte Complete concealer to cover any small blemishes or under eye circles, which were lingering from the prior weeks of getting very little sleep. The L'Oreal True Match Powder really only got used when we went out to dinner, because I was putting on too much SPF during the day to justify needing to wear powder. Eye products are the category where I always overdue to because I always think I need options, in reality I don't. I did use my Fairydrops Scandal Queen Mascara almost every single day because it is super waterproof and looks incredibly natural when applied in light layers. I packed the It Cosmetics Tightline Mascara because I had originally thought we weren't going to be in the water as much as we ended up being and wanted something that wasn't waterproof and is very natural looking. I think this mascara ended up getting used once or twice. In terms of eyeshadows I brought the By Terry Ombre Blackstar in Bronze Moon, my MAC eyeshadow duo with Grain and Sable, and theCharlotte Tilbury Eyes to Mesmerize in Bette. I ended up only using the Ombre Blackstar one night when we went to an especially fancy dinner and the Charlotte Tilbury cream shadow for another dinner out. I also brought my favorite NARS Pro Prime Smudgeproof Eyeshadow Base for whenever I did wear eyeshadow and the MAC Groundbreaker Eyeliner as my sole eyeliner for the trip. I ended up getting some use out of my Glossier Cloud Paint in Beam and Glossier Haloscope Highlighter in Quartz whenever I wore more makeup than just mascara. This combination of cheek products is something I'd definitely recommend for a beach trip because they just make your skin look so glowy and healthy. I'm a bit the same with eyeshadow as I am with lip products when it comes to packing, because I always end up bringing unnecessary options when I end up almost never using lip products. I brought the Glossier Generation G's in Zip and Crush, which I imagined using for a brighter lip had I decided to wear less eye makeup for the nicer dinners we went to, but alas I opted for the eyeshadow in the end.